The Supreme Court today deferred the hearing in petitions against demonetisation to December 2 after senior lawyer Kapil Sibal appearing for petitioners insisted that he wanted to challenge the constitutional validity of the measure and not just confine to problems faced by the people. At the outset Sibal said a larger bench should hear the challenge to the constitutional validity of the step taken by the government which was causing inconvenience to the public. Sibal repeated that the RBI rules do not allow anybody to prevent anyone from withdrawing their rightful and legitimate money from the bank and the banks were only trustees of the money. "If you are only on problems faced by people then we can hear Tuesday otherwise if you are challenging constitutional validity let it go to Friday as all petitioners from HCs will also be here" CJI told Sibal. The CPI (M) informed the court it too had filed a plea challenging the demonetisation but urged that Sibal be allowed to argue first and it will only supplement him. The Supreme Court had on the first date of hearing of the petition that is on November 15 refused to interfere with the central government's decision but sought an affidavit as to what urgent extra measures can be taken to put an end to the severe inconvenience people faced. The bench wanted enhancement of the withdrawal cap, asking more authorities to accept old currency till an extended date, more speedy replenishment of ATMs could be taken. "We are not interfering. Only looking into if more measures can be taken to ease the situation. People should not suffer at any cost", the bench had told AG seeking an affidavit by today. Sibal had initially argued that the centre did not have power under section 26(2) for blanket removal of currency notes of certain denomination but only to cancel a particular series which Rohatgi contested. "We are challenging the constitutional validity of the notification" Sibal argued but the bench refused to be much drawn into it. Sibal also argued that public was severely inconvenienced and centre had no power to restrict amount of withdrawal of hard earned money as the banks were only "trustees of money and no power beyond that". "People are dying lakhs of poor without a ATM card or bank dont get wages" Sibal said. Comparing the step with surgical strikes, AG said of course there will be some pain during a surgery. At this juncture CJI Thakur told Rohatgi : "Mr.Attorney, You are comparing it to surgical strikes. But Mr.Sibal says it is a carpet bombing". AG told the court that already six notifications have been issued and the highest authority was constantly reviewing it. The court had listed together for hearing as many as four pleas against the November 8 decison of the Narendra Modi government that these notes are no longer a legal tender. Out of the four, two PILs have been filed by Delhi-based lawyers Vivek Narayan Sharma and Sangam Lal Pandey respectively. Two other pleas have been filed by individuals, S Muthukumar and Adil Alvi, on the demonetisation issue. The petitioners have alleged that the sudden decision has created chaos and harassment to public at large and the notification of the Department of Economic Affairs, Ministry of Finance be either quashed or deferred for some time. Sharma, in his plea, has termed the notification of DEA as dictatorial, claiming that it did not grant reasonable time to citizens for exchanging the specified bank notes to legitimate notes to avoid large scale mayhem, life threatening difficulties. The plea has sought either quashing of the notification or a direction to the Centre for grant of reasonable time frame to citizens to exchange the demonetised currency notes to avoid difficulties being faced by the people. 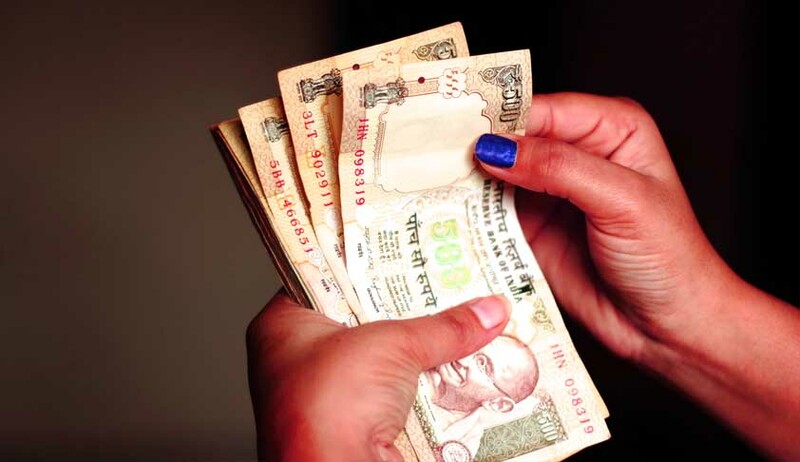 The Prime Minister, in a televised address to the nation, had declared that high denomination notes of Rs 500 and Rs 1000 will no longer be legal tender from November 8-9 midnight. He had said the Government has declared a decisive war against black money and corruption.